A national award-winning, full-service firm, concentrating in architecture, planning, preservation and development. 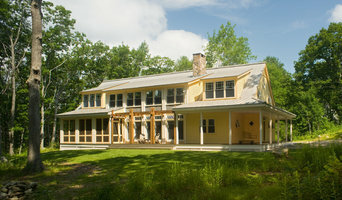 Residential projects include renovations and additions for older urban dwellings, recycling older industrial and commercial buildings, and historic farmsteads into new dwellings, passive solar designs, as well as completely new construction of family and vacation houses, in locations ranging from Charleston, SC to Portland, ME. Corey's Construction goes above and beyond the expectations of a "good" general contractor. We go far beyond the preparations, delivery and completion of a house. Corey's Construction's team has the resources, knowledge and experience to guide you through every aspect of the project. We offer financial institution referrals, permit processing, and customizing your home how you see fit. Corey’s Construction is a licensed home builder in Pennsylvania, Maryland, West Virginia and Virginia. With a design center in Waynesboro PA and several models in the 4 state area. Viking Construction is a family owned and operated business serving norther Baltimore County, specializing in luxury remodeling and construction. We pride ourselves on a meticulous work style as well as the timeliness in which our jobs are completed. 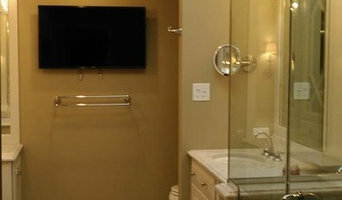 Specializing in custom carpentry work as well as kitchen and bath remodel, home additions and basement refinishing. 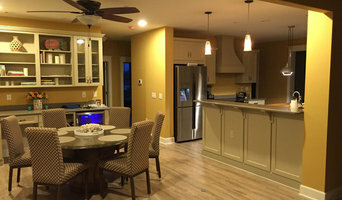 We also offer computer designs of all remodels to give the customer a full vision of what to expect from start to finish. Strosser / Baer Architects is a full-service architectural firm dedicated to the preservation of our region's cultural and natural resources. Our projects blend traditional forms, materials, and time-tested building practices with the latest in computer-aided design tools and sustainable technologies. We are located in historic downtown Lewisburg and serve the Susquehanna Valley from the New York boarder down into Maryland. Contact us today! ARCHITECTURE: The art and science of designing and erecting buildings. Architecture is both the process and product of planning, designing and constructing form, space and ambience that reflect functional, technical, social, and aesthetic considerations. CONSERVATION: The wise use of natural resources. Conservation is the process through which the material, historical, and design integrity of mankind's built heritage are prolonged through carefully planned interventions. We are a small unique firm that loves to take our clients ideas and bring them to life. We take pride in every little step of our projects from every pencil line on the drawings to every nail that’s hammered in. We strive to give the best all in service we are able to and stand behind what we build and keep our clients happy for years to come. Check us out on Facebook and Google !!! 4th Generation Home Builders Specializing In The Carroll County and Surrounding Area, Committed to Building Energy Star New Homes, Members of Frederick County Building Industry Association (FCBIA), Maryland State Builders Association (MSBA) National Association of Home Builders (NAHB) License/Certifications Include MHIC and MHBR; MDE BAT Septic, MDE At Grade Septic, MDE Sand mound septic, MDE Lead Abatement, EPA RRP. Owner is also a licensed Maryland Real Estate Agent (Stanley Groves, Realtor, Member of National Association of Realtors and Carroll County Association of Realtors). Groves Brothers Builders will build your new home on your existing lot, or help assist to locate a lot for you with their resources. Groves Brothers Builders will also buy any and all types of real estate in the Carroll County Area, including multi family homes, commercial, industrial, residential, farms and land, give us a call today to discuss your new home and / or real estate. Artisans Design Build is a custom, full-service design/build company specializing in innovative residential design, development, and construction that has called south central Pennsylvania home for over twenty years. We are proud to apply our experience and expertise to new home construction, remodeling and renovation, architectural design, interior design, landscape design, and land development. No matter the project, you can expect the small team at Artisans to provide you with a highly personalized, attentive experience that results in a product of unrivaled quality. Williams Architects is a full-service architecture firm located in historic downtown York, Pennsylvania. We are a father/daughter team providing custom architecture and design for both interiors and exteriors. Our focus is to provide exceptional service and expertise in our field by listening and honing in on our clients’ needs. Custom Residential and Commercial Contractors and Land Developers specializing in complete home renovations, restorations, corrections and minor land subdivision and development. 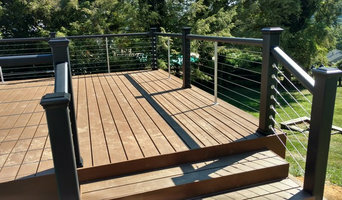 We offer a complete in house service of all trades being in business since 1986 operating in Pennsylvania, New York, New Jersey, and North Carolina. Designed for Living, Built for Life From design through construction and warranty, our attention to detail and customer satisfaction are second to none. Beautiful Living Spaces yet ready for Life! Call us to build your home! Need more space? We can build additions too! Like what you have, but looking for change? That's fine - we renovate!